Wreaths are a warm, welcoming touch to your home and add a festive flair each holiday. Join us to learn the art of wreath making using metal wreath forms, burlap and seasonal adornments. 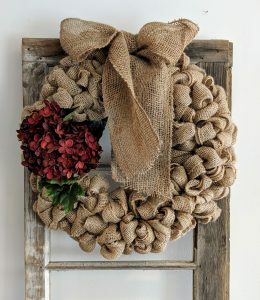 You will leave our wreath class with your very own, hand crafted burlap wreath that will rival that of the pros. Best of all, you’ll be able to take what you learn and recreate the technique to create an infinite number of seasonal decorations. We’ll also teach tips and tricks for transforming your wreath with each season. Cost of the workshop is $60 per person.